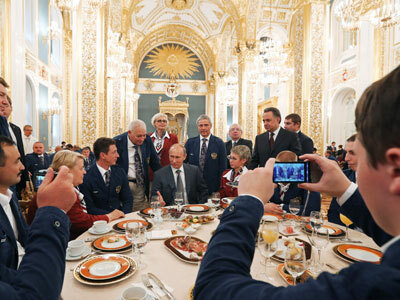 Bonus money to disabled athletes will equal that awarded to Olympic medalists, Russia’s President, Vladimir Putin said as he presented state honors to the heroes of the London Paralympics. ­Swimmers, Olesya Vladykina, who won gold, silver and bronze at the Games, Konstantin Lysenkov (1 gold, 1 silver, 2 bronze) and Aleksandr Nevolin-Svetov (1 gold, 3 bronze) as well as track-and field athletes Aleksey Labzin (2 golds, 1 silver) and Elena Pautova (1 gold) received the Order of Merit at a ceremony in the Kremlin. 37 other Paralympians, including swimmer Oksana Savchenko, who won five golds and set four world records in London, were awarded the Order of Friendship. 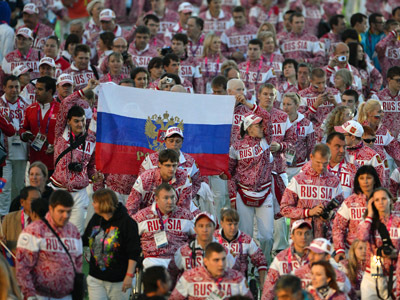 Russia has produced its best ever Paralympic performance in the British capital, grabbing 102 medals (36 golds, 38 silver, 28 bronze) to finish second in the medals table behind China. The President pointed out that the success of the disabled athletes is more than just a sporting victory. "You’ve made a very significant contribution to the achievements of Russia," he stressed. Another issue on the agenda was the prize money and there was a pleasant surprise awaiting the Paralympians. "It only fair that the bonus and the state honor you receive will be the same as for the Olympians. You deserved it,” Putin added. This means the Paralympic champion will be awarded €100.000; the silver medalist will get €60.000 and the bronze medal winner €40.000. After the ceremony the President and the athletes headed for the gala dinner inside the Kremlin.